Dr Jacqui Eales is a specialist in Evidence Synthesis working a on a 4-year research programme, Blue Communities, funded by the Global Challenges Research Fund. Her project is synthesising the currently available evidence on the interactions between marine and coastal resource management and the health and well-being of coastal communities, centred on South East Asia. She is also focused on capacity-building, and is facilitating a network of researchers engaged and interested in Environmental Evidence Synthesis in South-East Asia region. 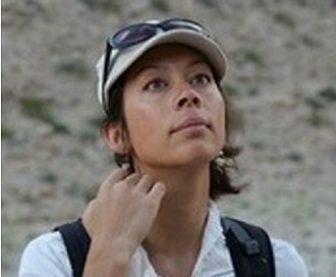 Jacqui has had a diverse research career to date, spanning Behavioural Ecology, Molecular Ecology, Health Evidence Synthesis and Environmental Evidence Synthesis. She completed her BSc in Biology at the University of Nottingham in 2004 (thesis in Avian sentinel behaviour systems) and a PhD in Invasive species genetics at the Molecular Ecology and Fisheries Genetics Lab at Bangor University in 2008. During her PhD she used mitochondrial DNA and microsatellite loci to identify source populations and investigate the extent of genetic founder effects for a recent vertebrate (Anolis cristatellus) introduced to Dominica, Lesser Antilles. Jacqui has worked in Evidence Synthesis since 2009, based at the Centre for Evidence-Based Conservation, Bangor University, where she was a Lecturer in Conservation. Here, she set up an international programme of capacity building in Evidence Synthesis for the Environmental Sciences. Reviewer, and for the Mistra Council for Evidence-Based Environmental Management, based at the Stockholm Environment Institute, as a specialist in Evidence Synthesis. Jacqui has a strong interest in island biodiversity and also in sustainability engagement practices. Jacqui has worked with several NGOs since 2012, continuing her research interests in these areas. She is Senior Scientist on the Operation Wallacea Dominica Programme, overseeing the science programmes on an annual field expedition investigating island biodiversity and building capacity for environmental research on the island. Jacqui is also an Environmental Sustainability Educator for EarthWatch Institute, using environmental themes to discuss sustainability with volunteers and corporate employees. Jacqui has been an active member in the Collaboration for Environmental Evidence (CEE) since 2009, has published in developing methodologies for Environmental Evidence Synthesis, and is currently serving on the CEE Training Team. She is also working with the Global Evidence Synthesis Initiative in capacity-building. Jacqui joined the University of Exeter in 2018.